Beagles are classified as a hound. They are the smallest breed of hunting hound. Beagles are most commonly used as family pets and hunting dogs. 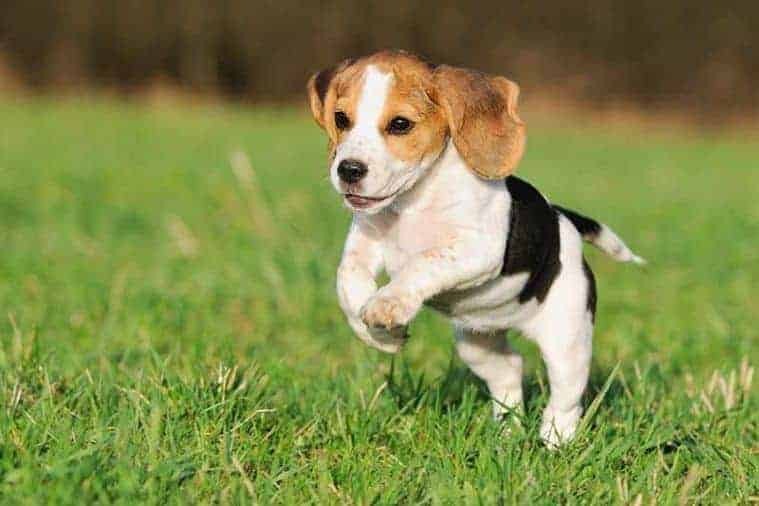 There are two varieties of beagle – one is under 13 inches tall (measured at the shoulder) and the other is between 13-15 inches. Other varieties are sometimes advertised but not officially recognised, including English, American and pocket. Beagles can be cross bred with many other breeds. Some popular designer cross breeds are puggles (pug), borkies (Yorkshire terrier), doxle (dachshund) and beaglier (Cavalier King Charles spaniel). Beagles are a small dog that resemble a miniature foxhound. They have long, hound-like ears which are set low on their head. They weigh between 8-14kg, with females generally being slightly smaller than males. They have a short coat which is smooth and weather resistant. The most common colouring is tricolour (black, tan and white). They also come in other hound colours such as lemon pied or red and white. They make poor guard dogs. They will bark at first when a stranger enters your home, but they will be easily won over with pats and treats. 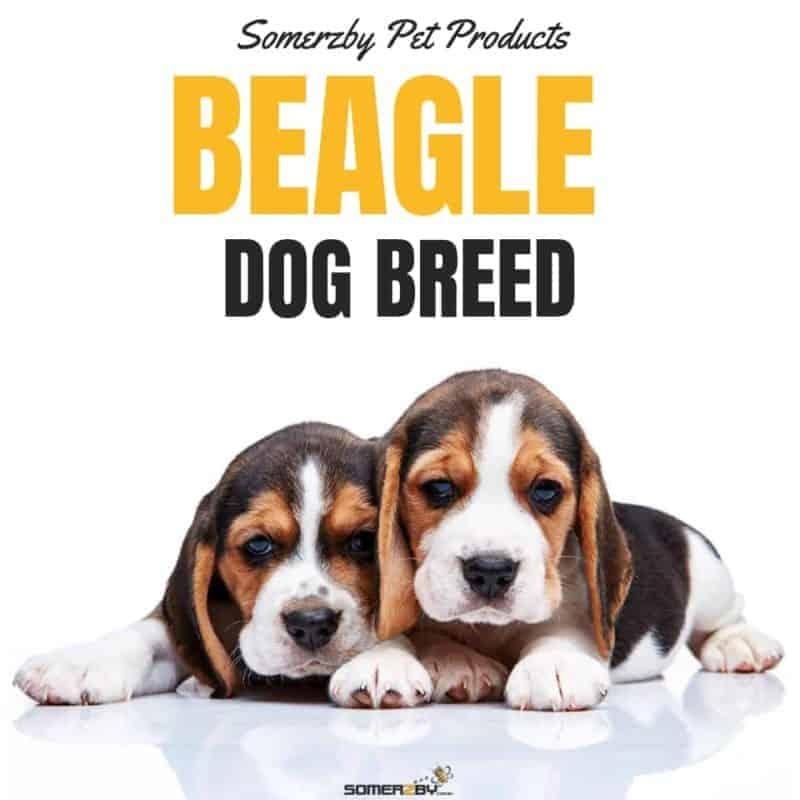 Beagles are bred to be pack animals and love to be part of a family. They get along well with children and other dogs, and can be trained to get along with other animals including cats. Beagles are gentle and friendly dogs that are rarely aggressive. They are often described as being ‘merry’. Beagles are both curious and intelligent. Beagles are very playful and full of energy. Beagles have an excellent sense of smell! They can often be seen sniffing around the yard and following their noses. They are best at following smells on the ground, not in the air. Beagles are a scent hound bred primarily for hunting rabbits and hares. 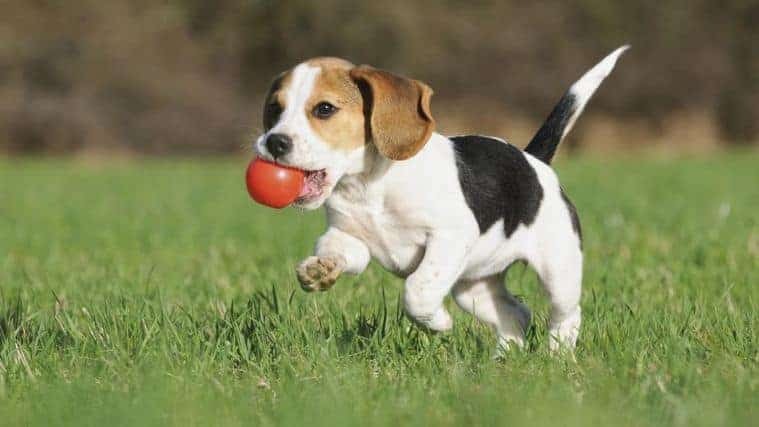 Beagles can be used as sniffer dogs for detection of prohibited agricultural and food items in quarantines worldwide. They are also used for termite detection. Beagles have a life expectancy of 10-15 years. Overall, beagles are a healthy breed and do not suffer from any major problems. They are prone to ear infections because of their floppy ears. Their ear may not receive enough air flow or moisture can get trapped inside them. Beagles are also prone to obesity and all associated conditions such as heart and joint issues. Beagles can suffer from epilepsy, hypothyroidism, dwarfism, hip dysplasia and disc problems. Hounds have been around for thousands of years. William the Conqueror brought the Talbot hound to Britain in the 11th century. Modern beagles originated in Great Britain in the 1830s. 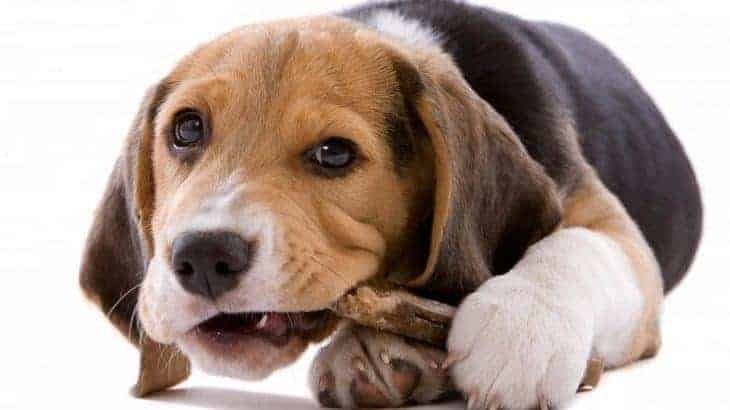 It is believed Reverend Phillip Honeywood bred them from the harrier, foxhound, Talbot hound, north country beagle, Kerry beagle and the southern hound. Beagles were exported to the USA around 10 years later, used for rabbit hunting. In 1885, General Richard Rowett, L. H. Twadell and Norman Ellmore bred beagles to look as they do today. They were then accepted as a breed by the American Kennel Club. Their first ever registered beagle was named Blunder. It is unclear where the name ‘beagle’ came from. Some say it is derived from the Gaelic word ‘beag’ (meaning ‘little’) while others say it is from the French name for the sound hounds make while hunting ‘be’geule’. Beagles have always been used as a hunting dog, particularly for rabbits. 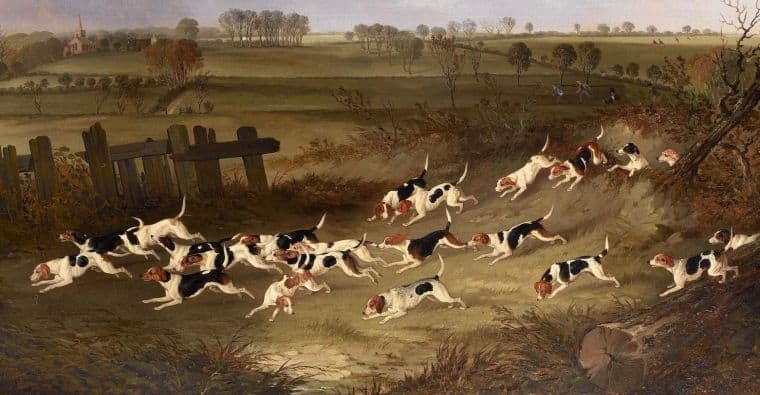 Rabbit hunting, referred to as ‘beagling’, often took place with a pack of 10 or more beagles. They are excellent at following ground scents. They are also a very loyal companion. Beagles are a foot hound, which adds to their appeal. They could easily be followed on foot, without a horse required. Beagles are a popular pet amongst families. They are the most popular hound dog kept as a pet. The American Kennel Club ranks beagles’ popularity as 5 of 194. The National Beagle Club of America was formed in 1888 and in 1901 the first beagle won Best in Show. The beagle has only decreased in popularity during both world wars but has always bounced back. Beagles are not fussy eaters. They are prone to being overweight as they do not stop eating once they are full. Owners must watch how much they feed their beagle and limit treats. It is common for beagles to snore while they sleep, especially if they are overweight. Beagles require minimal grooming. They shed a light amount of fur throughout the year. Their coat gets heavier in winter. Weekly brushing will remove loose fur and aid in new hair growth. Bathe your beagle every 2-4 months (unless it gets particularly dirty!). Washing too regularly can irritate its skin. Nails should be trimmed regularly. 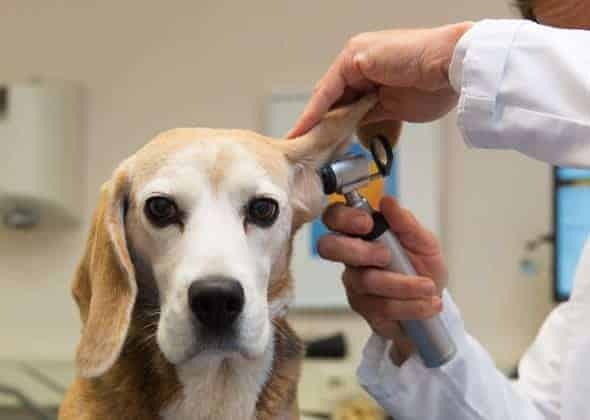 Because beagles have floppy ears, they will need to be checked frequently to ensure they are clean and not infected. Beagles are active and love to play. They require regular exercise. However, beagles are not hyperactive and do not need to be worked to exhaustion before being happy to rest. Beagles cannot be walked without a leash. They can get distracted by a scent and follow their nose so keenly they lose their way or won’t come back when called. 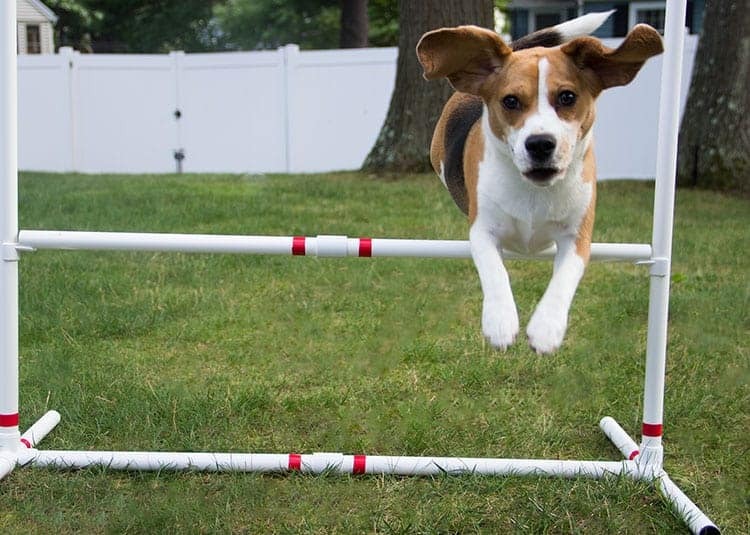 Beagles can escape from yards (often when tempted by a smell outside) so fences must be five or more feet tall and have something underneath to prevent tunnelling. A great way to exercise your beagle is to hide treats or its favourite toy in the yard and let it find them by sniffing. Beagles can be hard to train. They are eager to please their owners. However, they can be single minded and distracted easily, especially by smells. It is important to start early and remain consistent with training. Treats motivate beagles best as they love to eat. Always use positive reinforcement instead of punishment when training. Beagle puppies from a breeder can cost $1000-1500. This should include microchipping, first vaccination, worming and an information pack about your dog. Breeders can be found online via each state’s beagle club, such as Beagle Club NSW. Beagle puppies from a shelter or rescue organisation can cost around $500. This should include desexing, microchipping, vaccinations, worming and a vet check. Each state has beagle rescue organisations, such as Beagle Rescue Vic. Beagles are commonly used in laboratory testing because of their size and gentle temperament. This can include medical, cosmetic and chemical testing. Beagles tend to bark a lot. It is in their nature as a hunting dog. 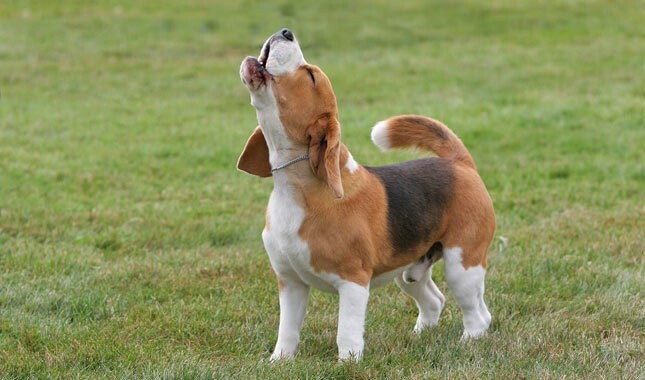 Click here to learn how to stop your pet beagle from barking excessively. This entry was posted in Dogs and tagged 19th century, breed varieties, crossbreeds, development of the modern breed, gentle nature, good with children, hound, hunting, pack animals, rabbit hunting, sense of smell, short coat, william the conqueror. Lost Cats, How To Find Them and Why Do They Go Missing? How Do I Keep Snakes Out Of My Chicken Coop?